The original setting was a small dorm-like building with a recreational area and a school. It was important to these parents that their children would be strongly vested in education, recreation and socialization. This was a time when if you had a special needs child, the physician's advice was almost certainly to institutionalize your child. Professionals had little hope that these children would thrive or be educated. But LARC's parents wanted more, a special place where their child would grow with dignity and respect. Over the years their children grew to adulthood and the vision continued. The original residential housing was replaced by a large dorm setting. There was also the auditorium and in the indoor swimming pool. It would not be until the earthquake of 1994, that LARC's dorm like setting would be replaced. In January of 2001, LARC's residents moved into thirteen new 3000 square foot homes called the LARC Villas. These homes in their innovative setting form a neighborhood of their peers. It is a beautiful cul-de-sac set on LARC's 65 acres of land in Saugus. LARC Ranch offers a myriad of social and recreational activities all year round. They include LARC's Travel Club, LARC's Bowling Team, a very special partnership with Special Olympics, community outings, swimming, walking, bike riding, karaoke, bingo, the women's club, the men's club, the Aktion Club, dances, crafts, and the residential council. LARC Villas are licensed to serve two separate age groups; we now have continuity of care for our residents as they grow older. LARC Adult Residential serves developmental disabled adults ages 18 to 59 and LARC Residential Care for the Elderly serves adults' ages 60 and older. The very successful model for LARC Villas is our HUD home, Apple Street, which is located in Newhall. After ten years it continues to show us that good training and continuity of care assure that residents who once lived in LARC's larger setting could successfully transition to a homelike environment. As the Santa Clarita Valley grows, so does the need for residential and dayprogram care for persons with special needs. LARC's two dayprograms serve both our residents and clients from the community. 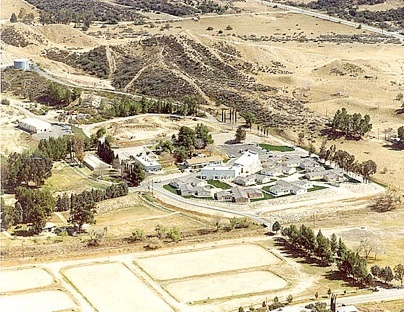 LARC Ranch is the largest facility serving the Santa Clarita Valley. LARC's Day Training Activity Center, LARC Industries, has grown to capacity. Due to this growth LARC Ranch will be starting a third Dayprogram in the Fall 2007. LARC Industries consists of vocational training and contract piecework. LARC's Adult Development Center (ADC) consists of residents and dayclients who have greater physical and/or behavioral challenges. It is the goal of ADC to assist clients in maintaining their skills and abilities.